Small Animal Talk: Does the veterinary profession have a future? Does the veterinary profession have a future? What will the future look like for veterinarians? My former driving instructor reckons he will be out of a job in a few years. Why? Driverless cars. But will we also have “teacherless students, doctorless patients, lawyerless clients, consultantless businesses, clergyless parishioners” and vetless clients or patients? That is what father and son Richard and Daniel Susskind argue in their book The Future of theProfessions: How Technology Will Transform the Work of Human Experts. We’ve grown up in the era of professions, which act as the main channel through which people and organisations have gained access to certain types of knowledge and experience. Professionals undergo extensive theoretical and practical training. So, it seems a bit provocative to suggest that professions are antiquated, that they will and indeed should be replaced by alternatives, but– my own vested interests aside – the Susskind’s do a pretty compelling job. It’s the kind of book that makes you wish everyone around you had read it so you can discuss it. (Unfortunately I was in transit when I finished it and every single other soul was fast asleep which was a major let down). “In acknowledgement of and in return for their expertise, experience and judgement, which they are expected to apply in delivering affordable, accessible, up-to-date, reassuring and reliable services, and on the understanding that they will curate and update their knowledge, and methods, train their members, set and enforce standards for the quality of their work, and that they will only admit appropriately qualified individuals into their ranks, and that they will always act honestly, in good faith, putting the interests of clients ahead of their own, we (society) place our trust in the professions in granting them exclusivity over a wide range of socially significant services and activities, by paying them a fair wage, by conferring upon them independence, autonomy, rights of self-determination and by according them respect and status” (p22). All professionals are, in one way or another, a solution to the same problem: “that none of us has sufficient specialist knowledge to cope with all of our daily challenges” (p3). But the Susskind's identify several problems. Not everyone can afford professional services, they’re not always accessible, they’re inefficient, and maybe their knowledge isn’t as unique as they argue. They’re also human, and thus prone to error. Plus, isn’t there benefit and empowerment in people being able to solve their own problems? Furthermore, a lot of the work done by professionals is mundane, repetitive and does not require professional level skill. They give the example of law firms that get junior lawyers to do the leg work and then bill top notch lawyer fees. They argue that professions are more replaceable than we think – predicting that traditional professions will be dismantled, leaving the vast majority of professionals to be replaced by less expert people and high performing systems. There could be computer programs used to take a history and create a list of differentials; sensors to provide more detailed knowledge than we can currently by performing a physical examination; and robots to perform surgery. Of course, people with special knowledge are needed to develop these systems, and they need to be secure. No worries – the Susskind’s argue – much of the technology exists, and why should we trust a professional’s agreement to maintain confidentiality more than a computer? They even argue that robots could be used as companions for the elderly – doing a lot of heavy lifting and providing consistent, reliable care but also chatting. Instead of asking Google, you could sit there with your cuppa and ask the droid who just made it for you. Good systems will proactively mine data, and won’t need a professional to help them sort the wheat from the chaff. “Emotion is communicated, for example, through facial expressions, which can be analysed by computerised face analysis; body movement that can be measured, for instance, by gyroscopic sensors; posture, detected through pressure-sensing chairs; and skin conductance – electrodes can pick up indicative changes in perspiration or in electrical resistance. It is also possible to infer emotional states from humans’ blinking patterns, head tilts and velocity nods, heart rate, muscle tension, breathing rate, and, as might be expected, by electrical activity in the brain” (p171). The professionals that do survive this evolution will be forced to compete, doing “more for less”. One of the big questions is how should we train professionals? The Susskind’s worry we are training future vets – and others – ye olde school style, i.e. as if they will have careers like twentieth century professionals. What we NEED to train them for, they argue, is functioning in a “technology-based internet society in which online service will dominate over human service and ever more capable machines will carry out tasks that used to be the preserve of human professionals” (p262). We should be teaching systems engineering, data science, and subject matter expertise. The trouble is we aren’t there yet, so it’s hard to justify uprooting existing curricula. Do professions have a leg to stand on? I say yes, but then as a member of a profession I have a conflict of interest. One of the Susskind’s biggest objections to professionals is that they act as “gatekeepers” to knowledge. One big issue they don’t address is future gatekeepers. Those who develop these powerful systems will expect compensation for them – and can set their prices as they wish. This doesn’t solve this particular problem of professions. Another related issue is ethics, which the Susskind’s concede is one of the defining features of professions. Professionals are schooled in and operate by codes of ethics, so how do we ensure systems engineers and para-professionals are going to operate ethically? Can ethics save professions? Or do professionals simply need to redefine their work? We’re constantly adapting to new technology, after all. This book is worth a read if you’re a member of a profession, or a client of a professional or professionals. 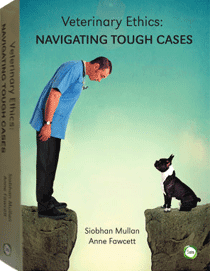 I’d love to hear more from veterinarians and animal health professionals who have read this book – how do you think it applies to our profession? 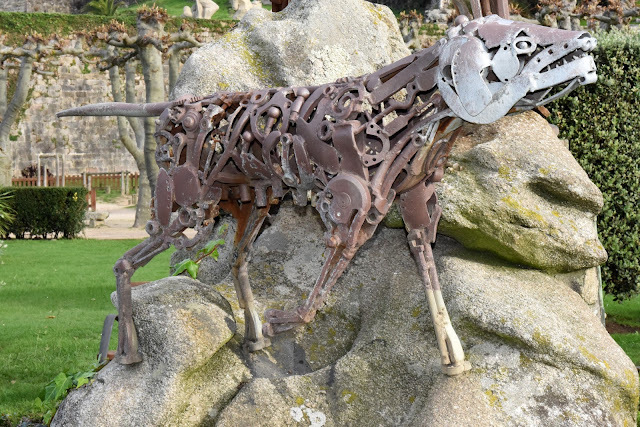 What will the future look like for veterinarians, our clients and our patients? What does it mean to be a professional and how should we be teaching future professionals? 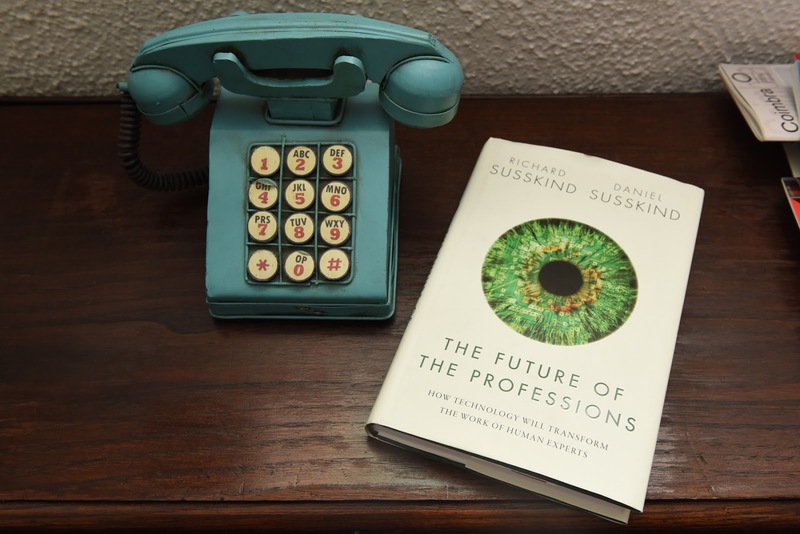 Susskind R & Susskind D (2015) The Future of the Professions: How Technology Will Transform the Work of Human Experts. Oxford: Oxford University Press.